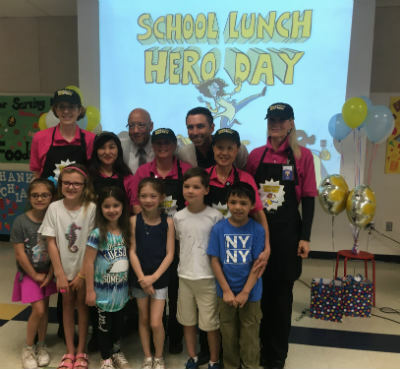 Friday, May 3, 2019 marks School Lunch Hero Day—just three weeks away! Celebrate your School Lunch Heroes with the gift of SNA membership to recognize their hard work in keeping our nation’s children well-nourished and ready to succeed. The newly launched members-only Learning Center , with specialized professional development tools and educational resources on a full range of topics. Free webinars throughout the year to foster career development and help meet USDA’s Professional Standards training requirements. A subscription to SNA’s award-winning magazine, School Nutrition , helping members stay current on best practices and on trend with what is happening in the field. Discounts on educational conferences, online training courses, books and other resources. Find out more about the benefits of SNA membership at www.schoolnutrition.org/join or contact the SNA Membership Team at membership@schoolnutrition.org to learn more about purchasing an SNA membership for your #LunchHeroes.